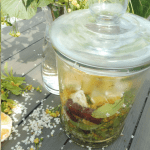 Since the elderflowers season began I have been restless, searching for new recipes and ideas to benefit from the presence of such a valuable gift that nature is offering us. 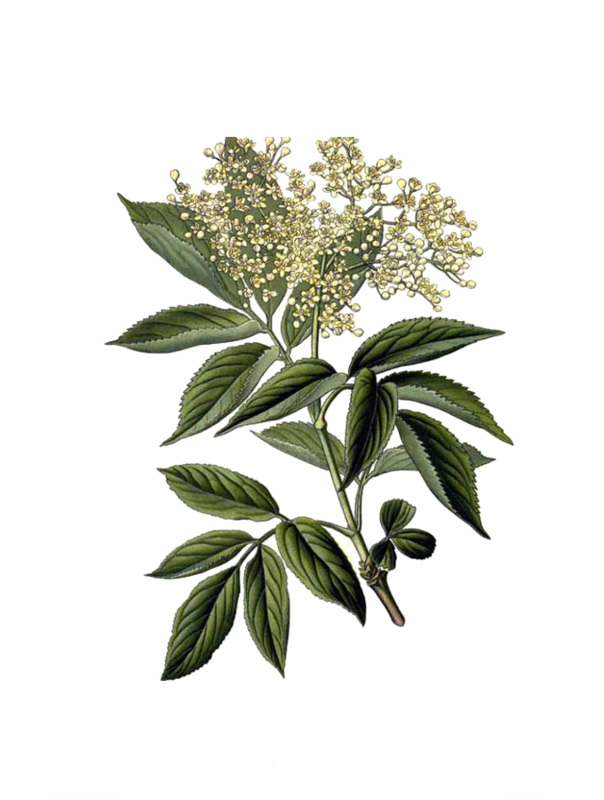 Apart from elderflower cordial and cough syrup I wanted to use this plant in cosmetics as well. 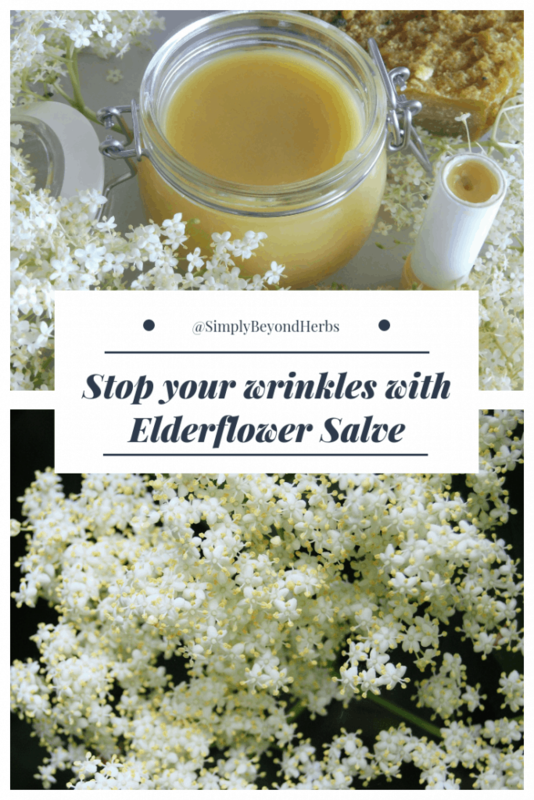 Elderflowers are known for their softening, anti-inflammatory, and anti-wrinkle properties. 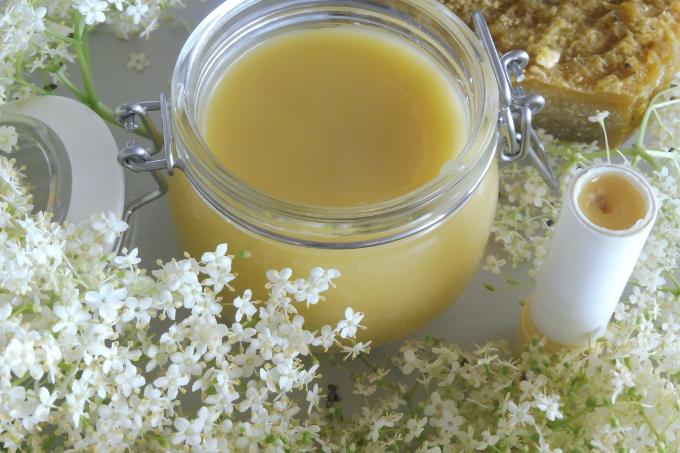 Since elderflowers are especially useful for older skin I thought it would be a great gift for my mom or my mother in law to use it in the salve. 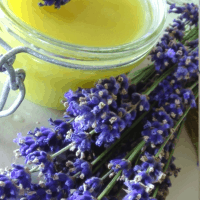 To make the salve really special I decided to add a few drops of Frankincense essential oil. According to dr. Axe Frankincense not only does it strengthen skin and improve its tone but also has the ability to improve elasticity and helps lift skin. 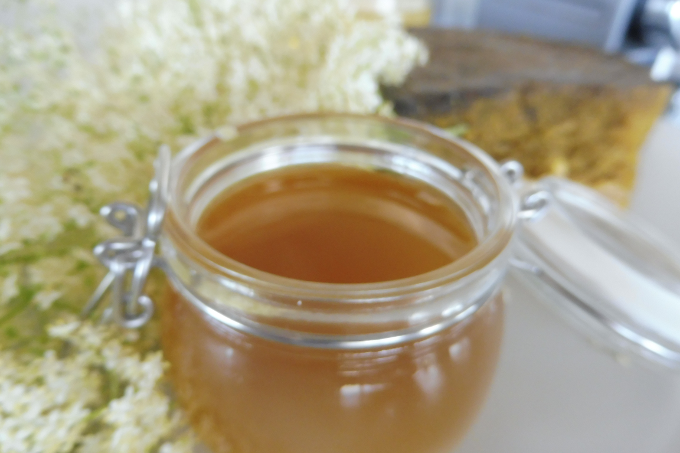 The process with salve always starts with picking fresh blossoms. This is the part of the process I really like. 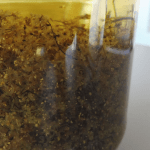 Once you have that you need to make the elderflower infusion oil. 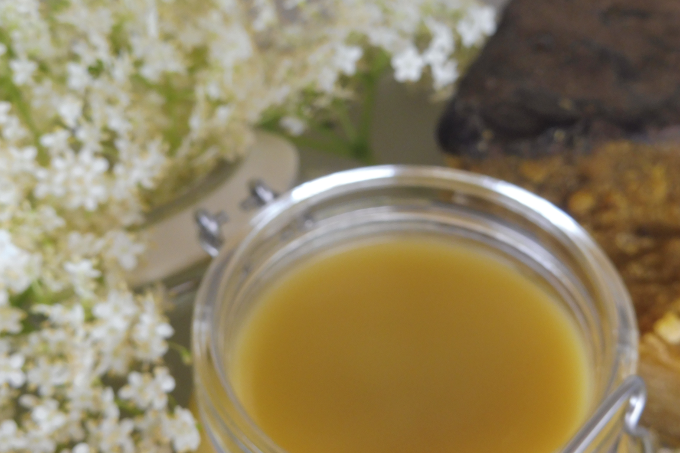 As a menstrum -base oil I used almond oil which creates a luxurious, healing mixture with elderflowers. This elderflower scented infused oil is mixed with beeswax to create moisturizing cream that deserves the attention of every woman. 1. 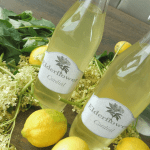 Measure 1/2 cup of elderflower infused oil you’ll need for the recipe and set aside the remaining part for another use. 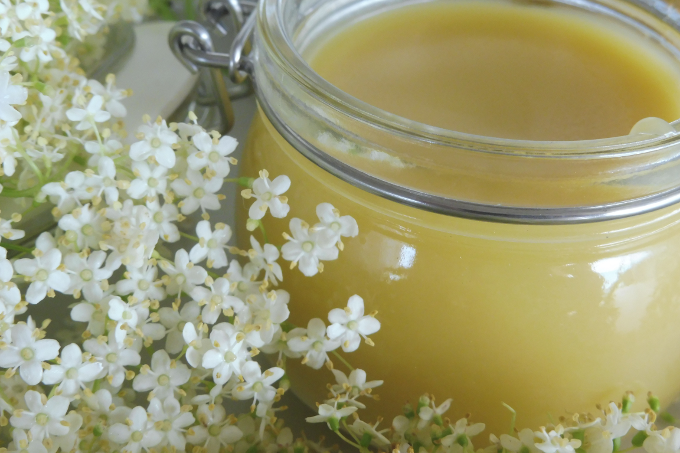 Place the measured elderflower-infused oil and beeswax in a double boiler. Heat on low just until the beeswax has melted. 2. 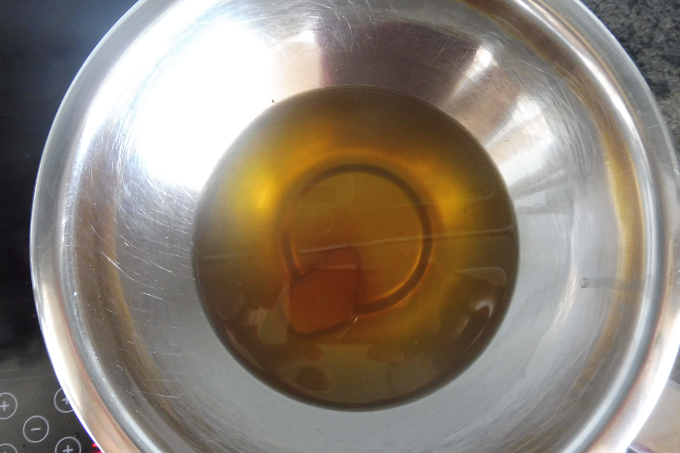 As soon as the wax is melted remove from heat, let it cool a bit and stir in 15 drops of Frankincense essential oil. 3. 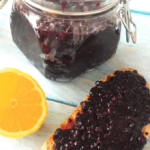 Fill the glass jar when the mixture is still liquid, let it set for 2 hours and enjoy. Lip balms became in recent years, part of a daily routine for many people. Everybody wants to have beautiful moisturized lips. Instead of buying either cheap products full of chemicals or better quality pricy bioproducts, you can make your own. Moreover, you can do it in a more sustainable fashion and re-use your old lip balm tubes or use small jars instead. 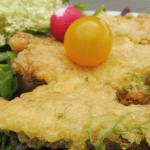 Since you have your infused oil ready it’s super easy. 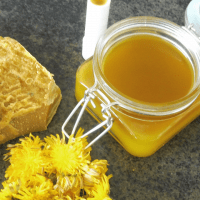 Note: the advantage of making your own lip balm is that you can adjust the hardness and viscosity of the balm by playing with the quantity ratio of beeswax and coconut oil. If you prefer softer – you add more of coconut oil, harder – more beeswax. Fill the lip balm tubes or a small jar when still warm. will send this article to him. Pretty sure he’s going to have a good read. Hello, I have made it by myself. It’s done in wordpress and I just purchased Brunch Pro theme in Feast design. https://feastdesignco.com/wordpress-food-blog-themes/ Feel free to contact me if you need more info. Thank you so much, happy to help. I have learn this put up and if I may just I desire to recommend you some attention-grabbing issues or tips. After research a number of of the blog posts on your website now, and I really like your method of blogging. I bookmarked it to my bookmark web site listing and will probably be checking back soon. Pls take a look at my website online as effectively and let me know what you think.